Can Exercise Be As Effective As Blood Pressure Medications In Lowering Blood Pressure? Author SimaPublished on December 19, 2018 December 20, 2018 Leave a comment on Can Exercise Be As Effective As Blood Pressure Medications In Lowering Blood Pressure? Once again, a study found health benefits from exercise. This time a large review of studies found that the blood pressure lowering effect of exercise for persons with high blood pressure (hypertension) appears to be similar to that of commonly used blood-pressure (antihypertensive) medications. The study was designed to compare the effect of exercise and medications on systolic blood pressure (greater than 140 mmHg). Unfortunately no study directly compared the two, but the researchers were able to draw conclusions from 391 studies that had used randomly controlled trials (people assigned randomly to different conditions). The American and UK researchers found that all programs of exercise and all blood pressure medications lowered blood pressure. They did find greater reductions in blood pressure in taking blood pressure lowering medications vs just exercise ("structured exercise regimens"), but pointed out that when studies just focused on people with high blood pressure (instead of everyone), then the results looked more impressive. Meaning the higher the blood pressure, the more effective the exercise. Other findings: They did not observe a dose-response relationship between exercise intensity and blood pressure reduction. They found that even low-intensity exercise may be effective in reducing blood pressure. The researchers stressed the need for studies that directly compare exercise programs to blood pressure medications, but point out that pharmaceutical companies are the ones doing the vast majority of studies and they don't have any incentive to do such a study (it could mean the loss of profits from medicines!). Many of the studies compared blood pressure medicines + exercise vs just blood pressure medicines. 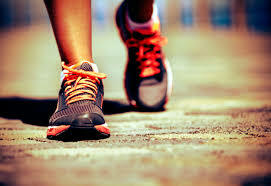 Thus the researchers said the topic of exercise and blood pressure is currently under studied. Bottom line: get out and move, move, move for your health! All activity and movement is better than none. Yes, it's easier to just take daily pills, but all medications have side-effects and cost money. Exercise is free and the health benefits are many. Some health benefits of exercise from other studies: lowers blood pressure, lower risk of heart (cardiovascular) disease, lower the waist circumference (get rid of belly rolls! ), and lowers triglyceride levels (in the blood). Exercise may be as effective as prescribed drugs to lower high (140 mm Hg) blood pressure, suggests a pooled analysis of the available data, in what is thought to be the first study of its kind, and published online in the British Journal of Sports Medicine. ...continue reading "Can Exercise Be As Effective As Blood Pressure Medications In Lowering Blood Pressure?" Published on December 19, 2018 December 20, 2018 Categories blood pressure, cardiovascular health, healthy livingTags hypertension, prescription medicationsLeave a comment on Can Exercise Be As Effective As Blood Pressure Medications In Lowering Blood Pressure? Research has found that antibiotics disrupt a person's normal gut microbiome (microbial community), especially because the antibiotics kill both bad (pathogenic) and beneficial bacteria. But what about other medicines? Do they also have an effect? A recently published study that reviewed the research looked precisely at that topic and found that YES - other medicines (besides antibiotics) also have an effect on (disrupt) the gut microbiome. The different categories of drugs - proton pump inhibitors (PPIs), metformin, nonsteroidal anti-inflammatory drugs (NSAIDs), opioids, statins and antipsychotics - all had different kinds of impacts on the gut microbiome. A review, led by Dr. Emmanuel Montassier from the MiHAR Lab at Institut de Recherche en Santé 2, Université de Nantes (Nantes, France), has concluded that some non-antibiotic prescription drugs have a notable impact on the gut microbiome to the same extent as antibiotics. ...continue reading "Common Medicines That Disrupt the Normal Gut Microbiome"
Are All These Prescription Meds During Pregnancy Really Necessary? Author SimaPublished on August 18, 2015 March 29, 2018 Leave a comment on Are All These Prescription Meds During Pregnancy Really Necessary? Although most physicians acknowledge the complexity of prescribing drugs to pregnant women, they nonetheless prescribe them frequently. More than four of five (82.5%) pregnant women were prescribed at least one medication, and 42.0% were prescribed a drug that is potentially harmful to the developing fetus, researchers found in a large, population-based study.The study, which details the type and timing of medications prescribed to pregnant Medicaid patients, presents a disturbing pattern, according to Kristin Palmsten, ScD, from the University of California, San Diego, in La Jolla, and colleagues. Dr Palmsten and colleagues found that the most commonly dispensed medications are those used to treat infections. They also report that dispensing is more common for younger pregnant women and white women. The researchers examined data for women enrolled in Medicaid before pregnancy (n = 1,106,757), using 2000 to 2007 Medicaid Analytic eXtract data for prospectively collected medication information. The analysis included over-the-counter medications dispensed by a pharmacist, but excluded medications purchased over the counter directly or prescribed during hospitalizations. The most commonly dispensed medications were nitrofurantoin (21.6%), metronidazole (19.4%), amoxicillin (18.0%), azithromycin (19.9%), and promethazine (13.5%). 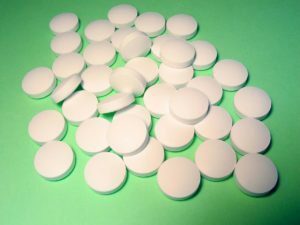 Other frequently dispensed medications include promethazine cephalexin and codeine with acetaminophen.....The investigators also note that nine of the 20 most commonly dispensed medications are rated as having limited to fair data quality and quantity to inform human teratogenic risk assessments by the Teratogen Information System. Dr Palmsten and colleagues also found that 42.0% of pregnant women filled a prescription for a former US Food and Drug Administration (FDA) category D or X drug during pregnancy. Category D medications are associated with evidence of human fetal risk based on adverse reaction data. The top five most commonly prescribed category D medications were codeine (11.9%), hydrocodone (10.2%), ibuprofen (4.9%), sulfamethoxazole (4.0%), and hydrocortisone (4.0%). The authors note that some of those agents are considered category B or C drugs, depending on the circumstances of use. Class X medications have been tested in animals or humans and found to cause fetal abnormalities. The five most commonly prescribed category X drugs were hormonal contraceptives (4.9%), temazepam (0.11%), atorvastatin (0.07%), simvastatin (0.04%), and warfarin (0.04%). Moreover, the researchers note that many of the most commonly dispensed medications have limited or low-quality data available regarding safety during pregnancy. “Lack of unambiguous safety information may lead to the use of medications with potential to cause adverse pregnancy outcomes, whereas beneficial medications may be avoided,” they write. Many opioids are category N, meaning the FDA has not classified the drug. 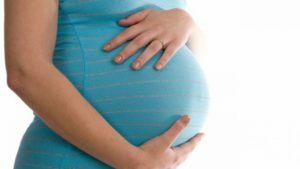 Although the solution to the complex problem of drug use by pregnant women is not clear, the FDA has made a change that is designed to better inform healthcare providers and patients about the risks of drugs. As of June 30, 2015, the FDA has changed the way it labels human prescription medications and biologic preparations for use in pregnancy and lactation. The new labels will include a summary of the risks of the drug during pregnancy. Published on August 18, 2015 March 29, 2018 Categories pregnancy and childbirthTags prescription medicationsLeave a comment on Are All These Prescription Meds During Pregnancy Really Necessary?